Former student Claudia Pottinger (class of 2013) returned this week to share her experiences of being a Google Internee with Mr Phil Adams’ Year 13 Digital Technologies class. I was fortunate to be able to listen in on this session and record a few reflections. Claudia attended St Andrew’s College for five years and during that time never studied programming or computer science, instead focusing on the ‘two Science, two Maths and English’ approach. When she started at Auckland University it was to studying for a degree in Engineering and a BA in Logic and Computation. It was in Computer Science 101 that she was introduced to the language of Python – something that was going to prove very helpful when it came to apply for the Google Internship. Having seen a link online offering Google Internships for “under-represented groups in the technology industry”, Claudia applied, sending off a CV. She was eventually contacted and went through two different phone interviews to see her suitability for this role before being hired for the summer of late November 2014 through to February 2015. The work environment was terrific – she was provided her own desktop (running a Google customised version of Ubuntu) and was also given a ChromeBook so she could work away from her desk. There was flexibility in terms of what application she coded in e.g. she could use eMacs if she liked or other software platforms if she preferred. Security was very tight – she was given an ID badge to enter/exit doors and also USB devices to authenticate onto computers. The security around customer information was very tight, however she could browse code from different projects if she wanted to. GOOGLE LIFE – THE PERKS! Gaming rooms – a wide range of consoles from various versions of Playstations, X-Boxes, Pinball Machines and even an old Nintendo 64! Micro Kitchens – located usually no less than 50metres away from any workspace, these had snacks, candy and other food and drinks. Rock climbing wall, pool tables, table tennis tables etc for recreation. All of this was provided free for the employees and interns. Click the image to go through to a gallery of photos from the Sydney Google offices. A typical day for Claudia was described as walking 40minutes to work from the provided accommodation, having breakfast and grabbing a smoothie for her desk before signing into work and checking her emails and then getting down to coding. Whilst not required, Google encouraged the various teams to lunch together regularly, after which she might relax in one of the games rooms and then return to code till around 6pm. One of the four restaurants was open for dinner for staff. In response to a question on whether there was close monitoring of work hours / effort, Claudia said that provided staff were delivering the outcomes required for their projects in the time frames set there was no questions asked about long lunches or breaks to play games etc. 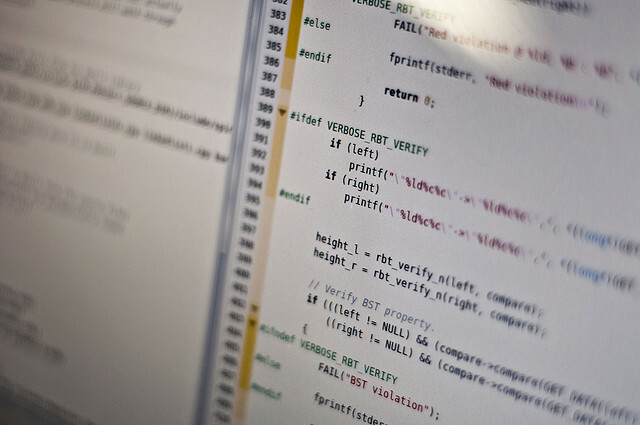 Other people must be able to read your code – keep it clear, clean and use lots of comments in your code. All code she produced had to be signed off by a colleague before it could be committed and for this to be accepted the code had to be readable. Document what you’re coding about as well – be as clear as possible. 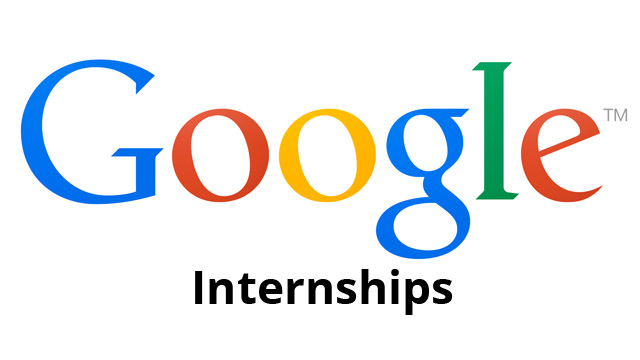 When applying for internships, include information on your interests and involvement in life outside of just programming. Mr Adams reinforced this as well after his visit to Google in Mountain View and New York last year. He mentioned that so many of the applicants are simply brilliant academically that one way to stand out is to show what you’re passionate about and involved in outside of work. It was great to have an Old Collegian return to share with our students about the possibilities of internships and how to go about applying. To round out her experience, Claudia is likely to return to Google in Sydney at the end of 2015, but is also considering internships at alternative companies such as Microsoft. This experience has also helped to shape her future career ambitions, focusing in on possible jobs in Artificial Intelligence and Robotics. Her final message to the students was that you don’t need to have everything decided right now and that by being a life long learner you can change direction within your degree and even into your career. At St Andrew’s College there are a lot of ticketed events showcasing student talent and performances, from the annual Preparatory Ballet Show through to the Senior Production. On top of these, there are fundraisers, guest speakers and the upcoming Centenary celebrations in 2017, all of which require ticket design, printing and selling. Historically, these tickets were designed in-house by our Communications team, bulk printed and then sold via the reception desk in the Secondary School. Whilst this worked, it tended to be inflexible if people wanted to change the night they were attending and it was also time consuming for reception staff showing students and parents what seats were still available and then processing the purchase of tickets. The ability for students, parents and wider community members to see what events were happening at St Andrew’s, choose their preferred seats (where allocated seating was being used) and to purchase tickets online. The ability to pay for tickets online using Visa or MasterCard. Customers to be able to print their tickets at home and for reception staff to be able to print tickets on a “as needed” basis. Accurate reporting at the conclusion of an event for reconciliation of payments and disbursement of funds. The team at PatronBase worked hard to help create a custom skin that accurately matched our College branding and also supported the technical requirements for connecting with BNZ’s BuyLine product for processing online credit card payments. The PatronBase hosted solution for online ticketing accurately reflects the St Andrew’s College branding. 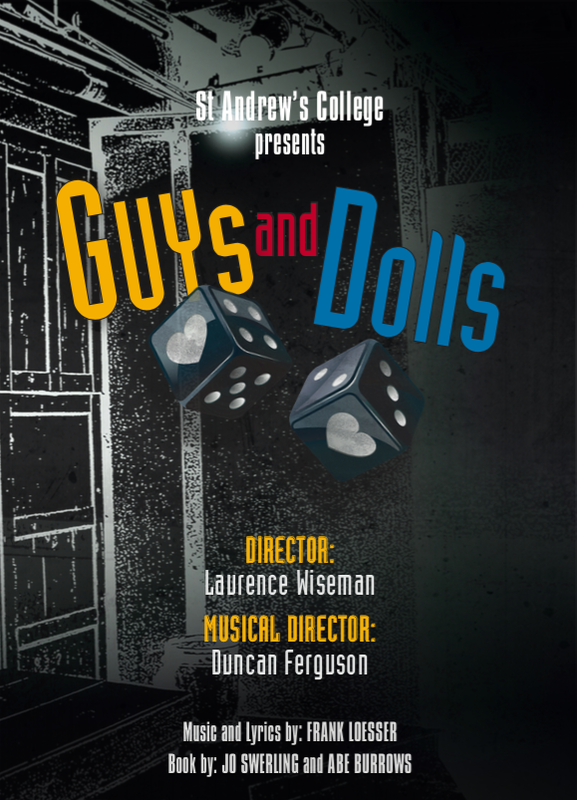 A decision was made to trial the PatronBase system with the 2014 Senior Production of Guys and Dolls with tickets being available for sale online for the first time ever, as well as via the “Box Office” in the College reception. The ability to sell tickets both online and via the reception was a real advantage over the previous ticket system used and reception staff were confident that tickets were never going to be accidentally sold twice. Furthermore, because tickets could be re-printed as needed, it did not matter if a customer changed their mind about the night they wished to attend a performance, because the tickets could easily be transferred with new tickets being printed and the original seats being released for other customers to purchase. Ticket view for Reception staff showing booked and available tickets. The corresponding online view for customers purchasing tickets at home. The “Box Office” view on the left used by Reception staff to see status of available seats and the corresponding web view to parents at home allowing them to choose their preferred seats. The new ticketing system is really great. It is great to be able to purchase with a credit card and to have a choice of whether to print or collect tickets. When booking shows in the theatrette it was fantastic to be able to choose your own seats and it was very easy to use. It really was great to be able to see exactly where you would be sitting. Keeping the self print tickets simple is good. I have had to print out tickets from other places before and they have wasted so much ink printing fancy pictures. Your ticketing system is excellent. Since then, 150 copies of the book have been sold through the PatronBase system, often by Old Collegians overseas who wish to have the book couriered directly to them. A more recent form of fundraising online came after the devastating Cyclone Pam struck Vanuatu. A full blog was written about this that you can read here, and at the time of writing donations during the sale of tickets to UrineTown and Style at StAC are approaching $1000 for Onesua Presbyterian College in north-east Efate,Vanuatu. Finally, the Old Collegians Association of St Andrew’s College, having seen the value of online ticket sales, will soon be using PatronBase as well for all their ticketed events and reunions. A custom theme is being developed to match the branding of the Old Collegians and then tickets will be available for all events. With an eye to the future, having run over 15 ticketed events through PatronBase over the last 12 months, the system will definitely be used for managing ticket sales for the 2017 St Andrew’s College Centenary. It is pleasing to be able to deliver an improved service to students and parents that makes the purchase and attendance of ticketed events at the College so much simpler and easier. Teaching the Teachers - Introducing the SAMR Model.